Parsons’ sculptural practice is diverse but easily recognisable. His carefully considered and constructed works have an elegance and refinement that belies their scale and mass. 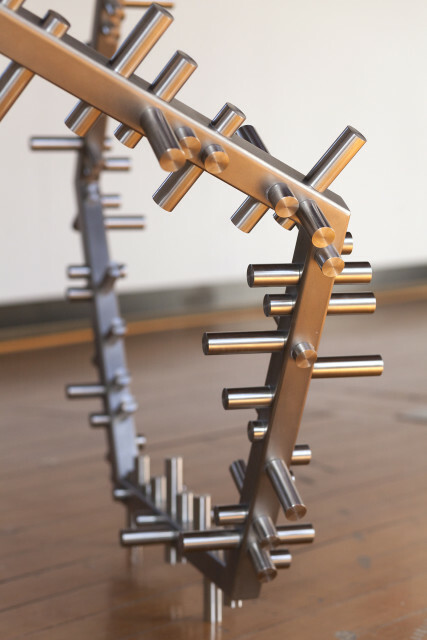 Often engineered from industrial materials in geometric forms, his sculptural works also contain a hidden braille-like language waiting to be deciphered or interpreted by the viewer.